Gaye Sullivan, Christine Gudasky, Valerie Hochfeld. 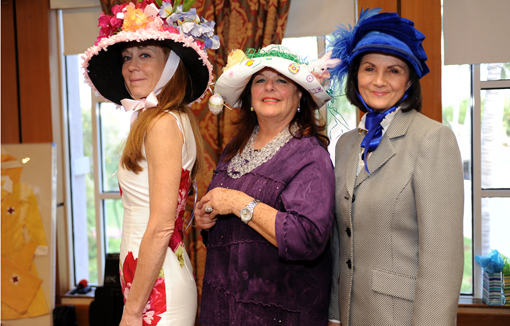 BOCA RATON, FL – The “South County Angels” of the American Red Cross are hosting their 25th annual Mad Hatters Luncheon featuring a fashion show, live auction and a fun-filled contest of the most outrageous hats. 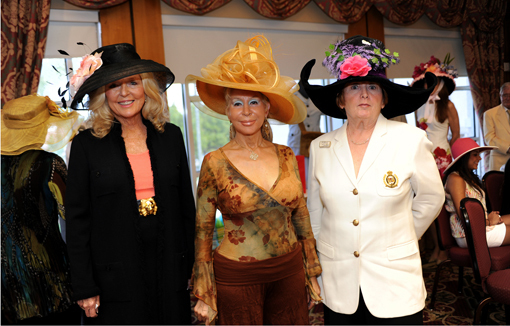 The program is March 7, 2012, at 11 a.m. at the Boca Country Club. The group is celebrating its 25th anniversary since being founded in 1987 by Rita Hobbs. This year’s gathering will feature a fashion show coordinated by former runway model Su Su Smith, with designs from several local boutiques. There will also be a hat contest, with winners selected in several categories. A silent auction and a raffle will round out the day to support the Red Cross. “We’re all very excited to be celebrating 25 years. 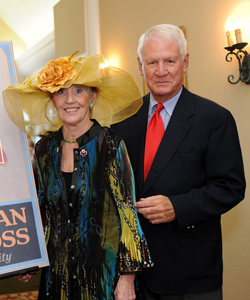 Palm Beach County has a rich history with the American Red Cross and we are proud to continue this lovely tradition in support of the critical mission that they carry out when people need them the most,” said Bonnie Mason, President of the American Red Cross South County Angels. The annual event is held by the Angels, a fund-raising group dedicated to advancing the mission of the American Red Cross; helping people prevent, prepare for and respond to emergencies. Tickets are available for $60 per person. For tickets or information, call (561) 447-4478.